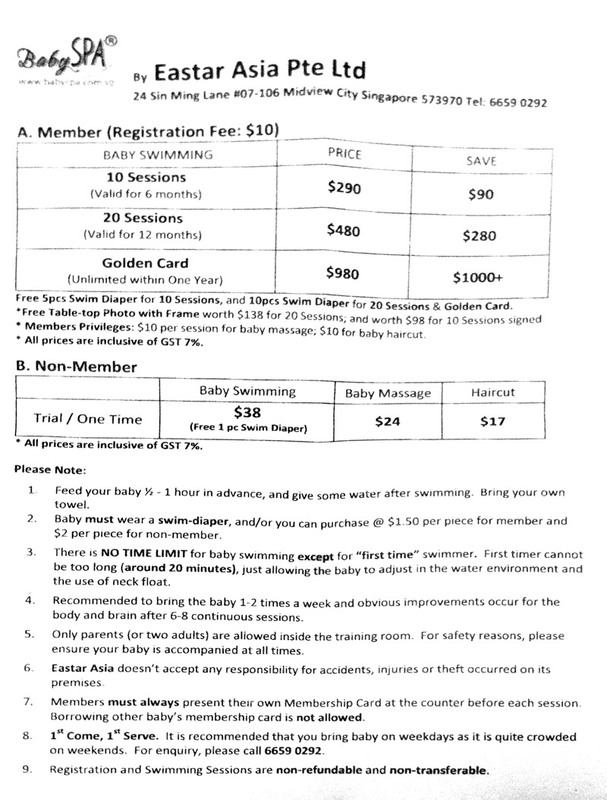 It seems that new parents of the recent years will bring their little ones to this baby swimming centre located in serveral shopping malls. 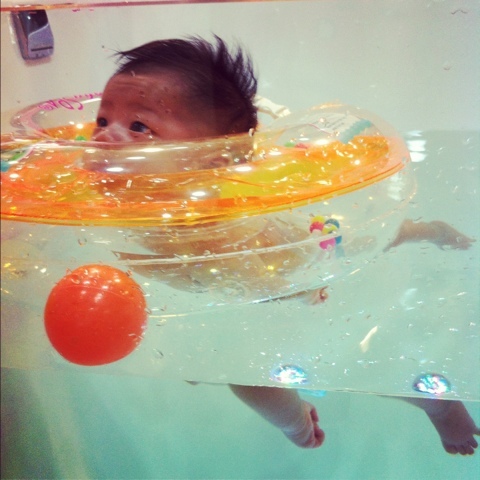 I'm not sure if there are other companies doing this, but I often see friends posting photos their cute little ones swimming (more of kicking in the water) with an orange float around their necks. And I am honoured to experience such a session when I am invited to tag along with my GF's family. 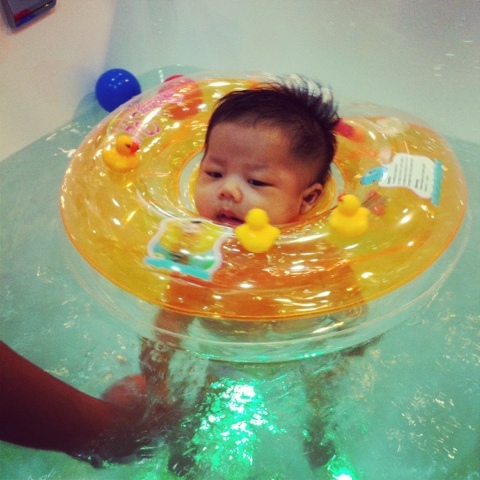 The outlet we went to was Baby Spa, located in Plaza Singapura. There was already one baby happily playing in the pool. Her boy took the small pool next to the glass panel. There were four small pools and one big pool. Small and big water duckies and colorful balls are in the water for the babies to play. But I think they are too young to play with the toys. 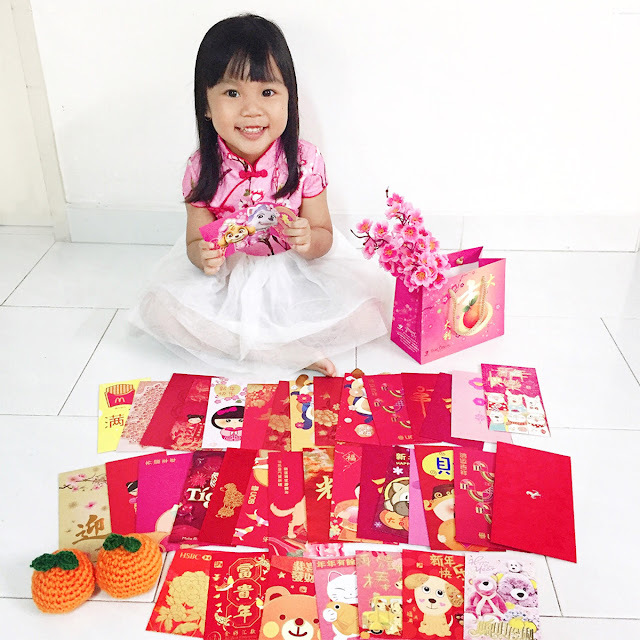 It is more for the parents to play and get attention from their child. 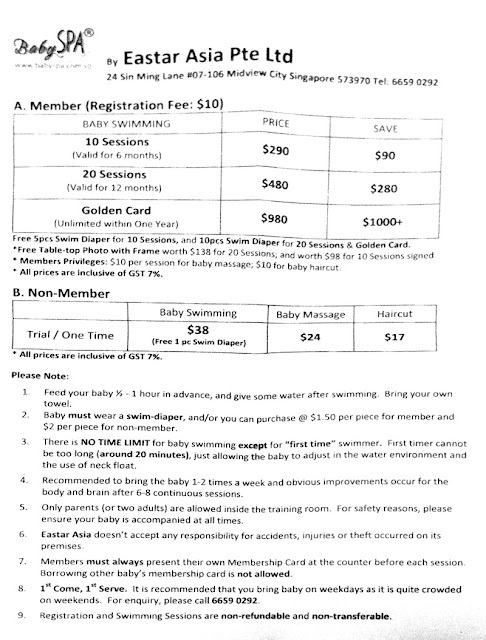 Baby Spa only allow two adults in the pool area and no photography is allowed outside the outlet. Her hubby switched with me and I was able to go in and play with her boy. I think I was more excited than the boy. The staff came over once in a while to help her boy massage his legs, kick his legs, let the boy relax. His body was very tense, not moving or kicking around much, and his fingers were curled up into fists. He moved around more after the massage. Here's their writeup about their service.